Call or Text Listing Agent - Kari Engen - The Real Estate Center of Spearfish - 605-641-0670 for more information. 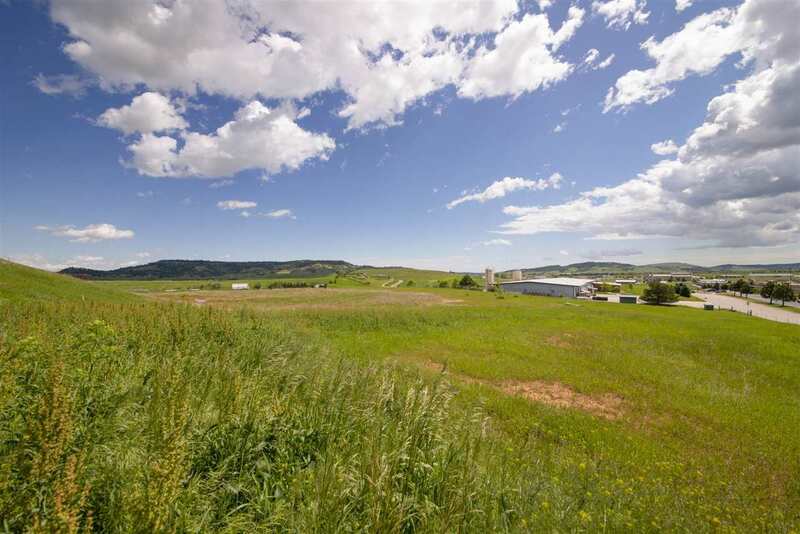 The opportunities are endless on the 3.5 acres that has easy access off of I-90 from Exit 14 to Paramount Drive as well as Windmill Drive in Sandstone Addition. The zoning on the acreage is C2 (Planned Unit Development Commercial). This zoning provides almost endless development opportunities as it accommodates retail and business service such as building material sales, car sales, financial institutions, repair services, open storage area as a few examples. The C zoning permits uses in C1 (Central Commercial District) for personal & business services and general retail which may include retail establishments, hotel, motel, office, multi family construction to name a few. The opportunity continues as this acreage also permits R1, R2 and R3 for a residential district.